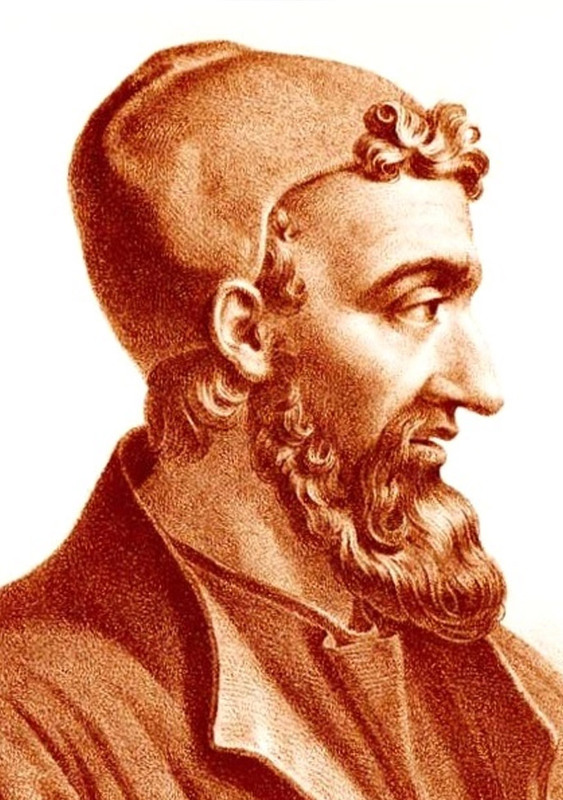 The Greek physician and anatomist Galenos of Pergamon (129-216) was one of the most famous doctors of the antiquity, He was the personal physician of the Roman Emperor Marcus Aurelius (121-180), whom he was primarily to protect against poison, as well as the Emperor Septimius Severus (146-211). He studied for twelve years in Corinth and Alexandria and was then appointed as a surgeon of gladiators to Pergamon (Asia Minor). His main tasks were the proper nutrition of the fighters and care of their wounds. He claimed that not a single gladiator had died under him. He acquired a great deal of knowledge in the collection of medicinal herbs, whose effects he systematically examined and documented. He summarized all the knowledge of his time into a teaching system that was generally valid until the Middle Ages. It tied to the in the Hippocratic Medicine developed four-action theory (blood, mucus, yellow and black bile). This was later by by the way Paracelsus (1493-1541) questioned. Galenos recognized the health-giving and antiseptic properties of the wine. About the healing potion and antidotes he wrote the treatise "De antidotis". This also includes a detailed report on the Greek and Italian wines of his time. Of the Falernian At that time, he was still in first place with him (although he explicitly stated that this was often forged), the once famous Caecubian he was no longer meaningful. To be awarded by him the Surrentine that classifies Sabine and the Tiburtiner. He also proceeded methodically, first he tasted the oldest wine and then tried to the youngest before. The Greek writer Athenäos (2nd / 3rd century) comically describes a banquet of 24 famous scholars and lawyers in ancient Rome with Galen as one of the participants. This page was last modified at 2 March 2018 at 15:47.